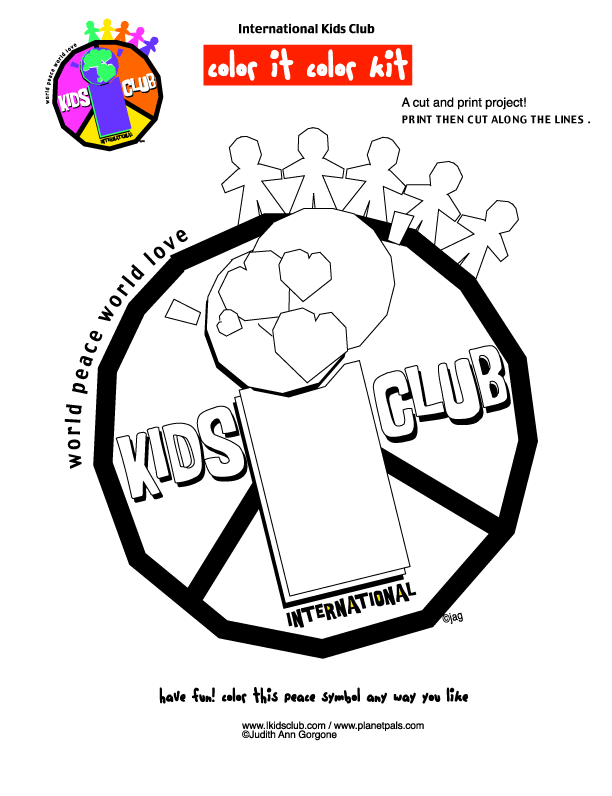 Make your own peace sign symbol coloring page art project lesson plan "
We have exclusive PEACE Activities for the classroom and homeschool! 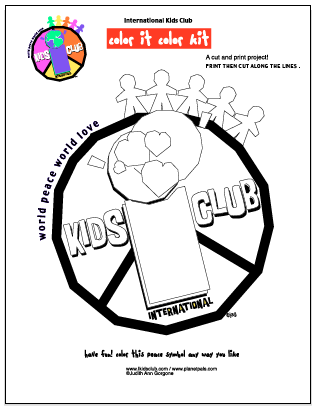 Enjoy IKC Dowloadable Print and Color Peace Page. Unique and fun activities to help kids learn, share and experience peace and tolerance with positive messages! Color This and Make It Your Own: IKC EXCLUSIVE! Learn about Ikidsclub.org and what it stands for in a fun and unique way. A great classroom activity.Use it for a sign in your room to remind you how important peace, tolerance, understanding and hope is in your world. We suggest you look the words up in the dictionary and discuss them before playing! They are: Hope, Love, Friendship, Sharing, Understanding, Tolerance, Equality, Peace, Caring. 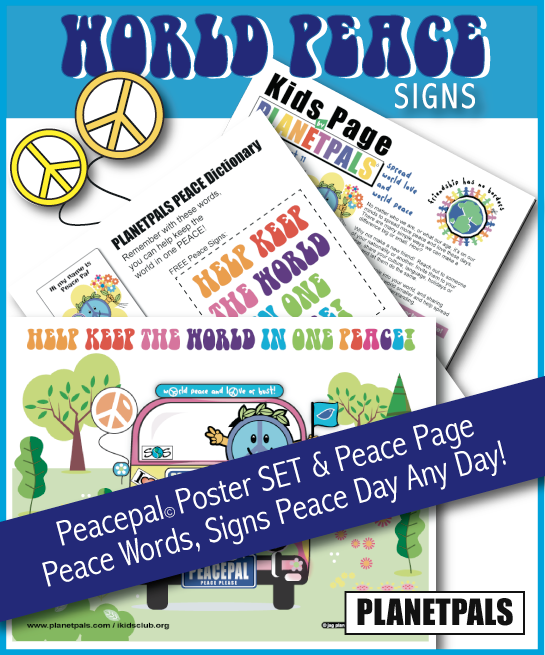 We have PEACE posters,magnets and buttons for your events!